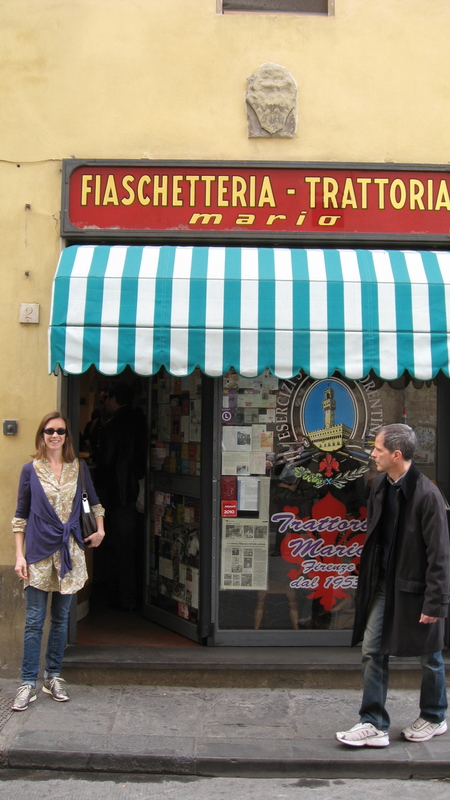 Thanks to our friend Rena, who lived in Florence for a year, we had some insider recommendations about where to eat. 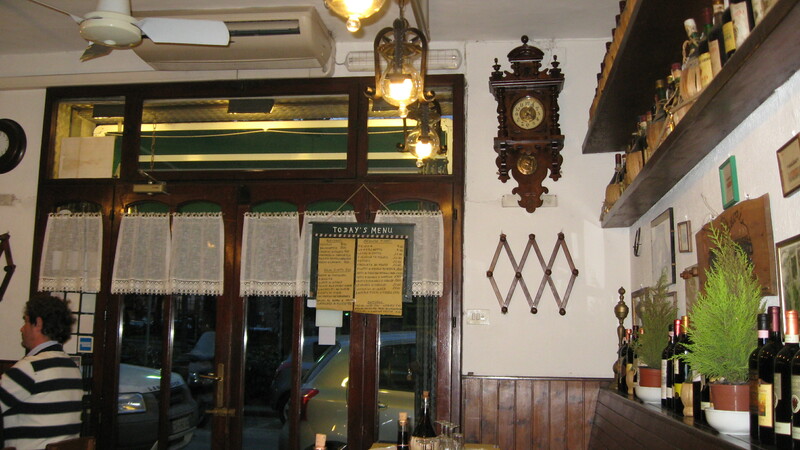 The most interesting (and delicious) place, by far, was Mario’s, which serves only lunch. 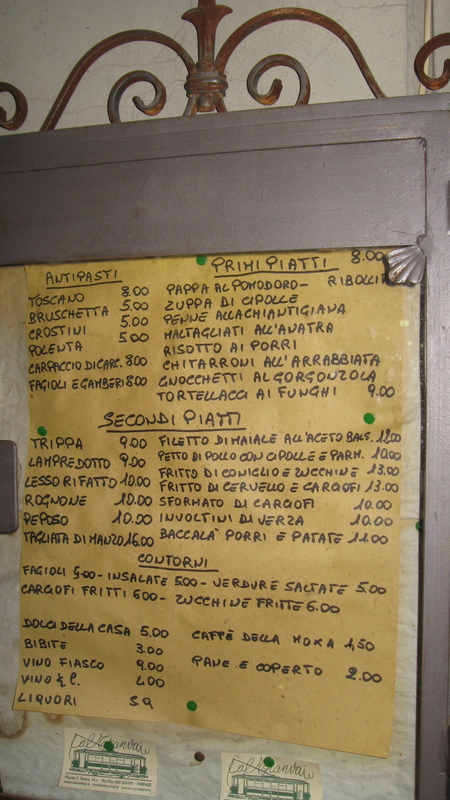 The menu is scribbled on a piece of paper, and is replete with meat. 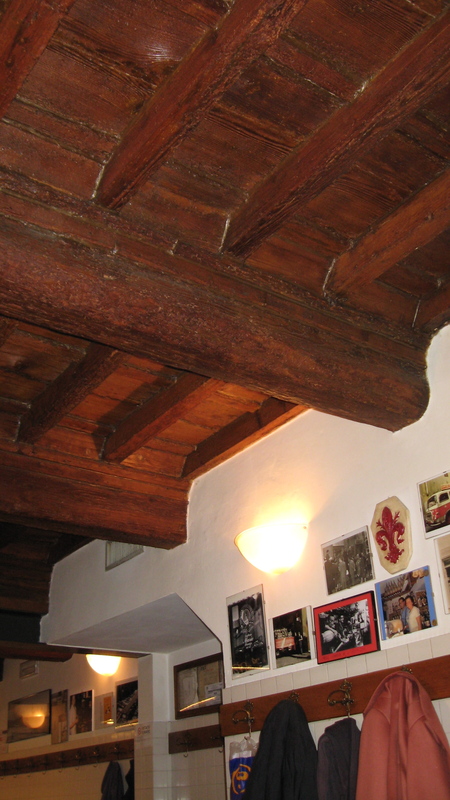 The seating is first come, first served, and is “con l’altro”—with each other. 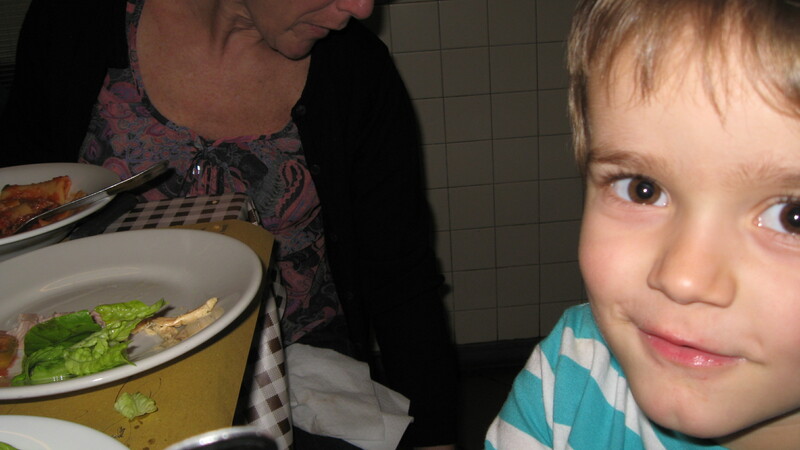 Three parties of two might share a big table. Everyone sits on little wooden stools. 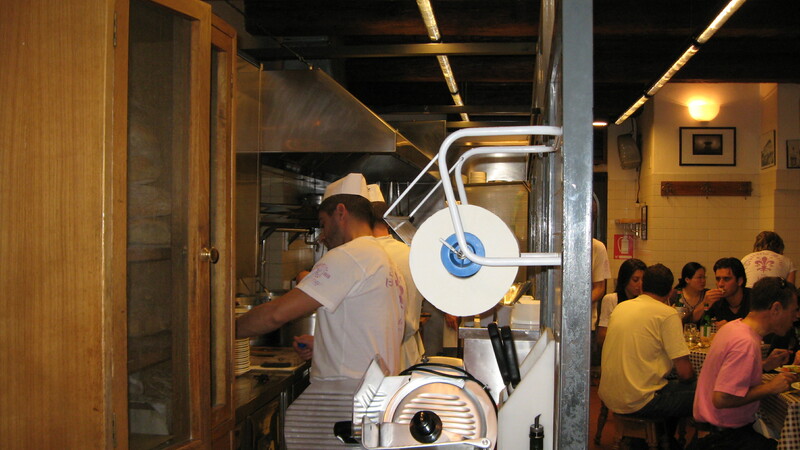 The kitchen runs right alongside the dining area, and the inevitably loud conversations are punctuated by the bang-bang-bangs of the cleaver on the butcher block, chopping up the next set of lunches. 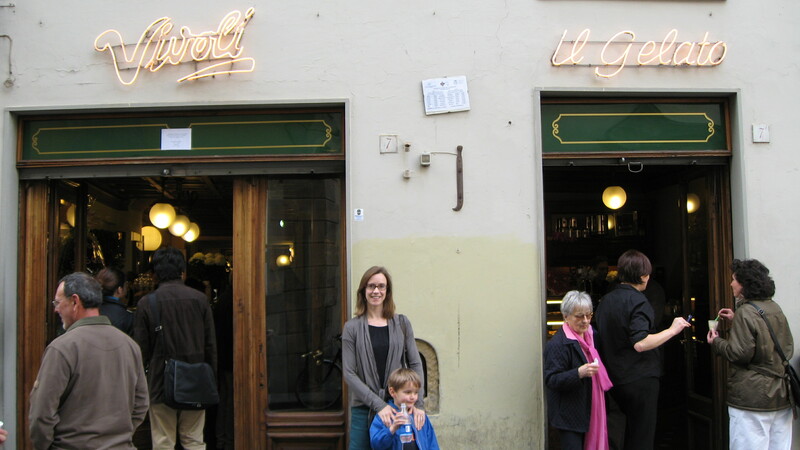 We also went to what many agree is the best gelato maker in Florence: Vivoli. I know I should have tried the cinnamon-orange, but I couldn’t resist my favorite nutty flavors. 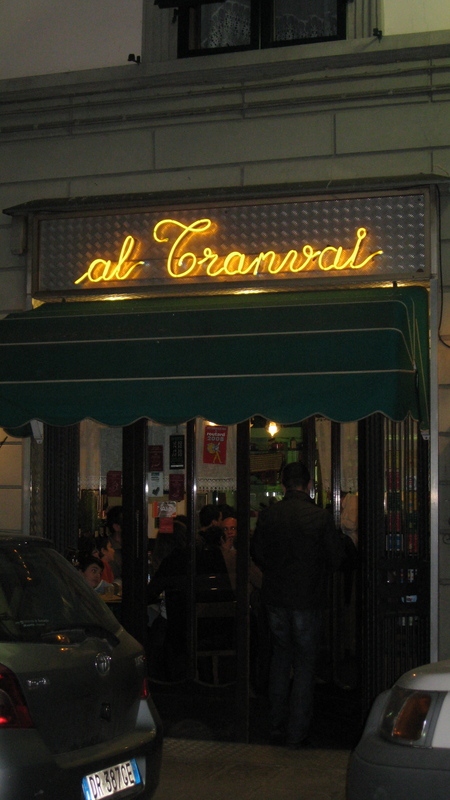 The other high point in dining was Tranvai, a restaurant constructed out of an old tram-station, with excellent food. 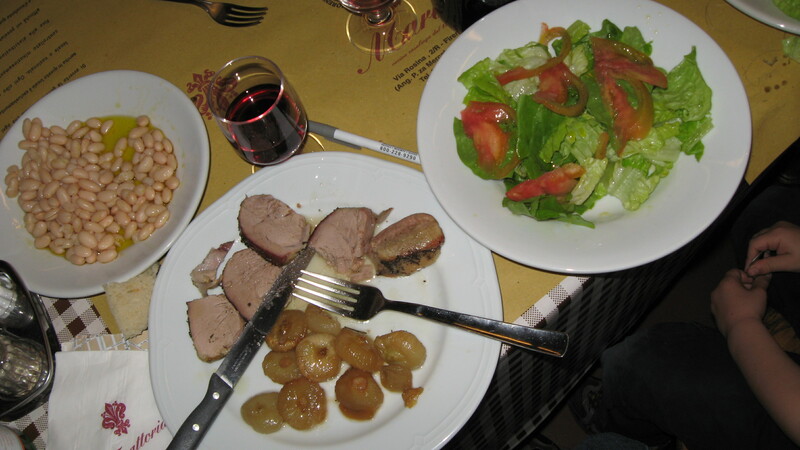 They offered offals and brain, but we stuck to slightly more familiar cuts… veal and rabbit.